Another weekend over, and we survived the wind and rain. Let’s hope we see the end of this weather soon and we can pack away the rain coats, hat’s scarves and gloves until next year. But never mind the weather we had a clean sweep of victories in both Camogie and Ladies Football over the last two days. Here’s all the details. 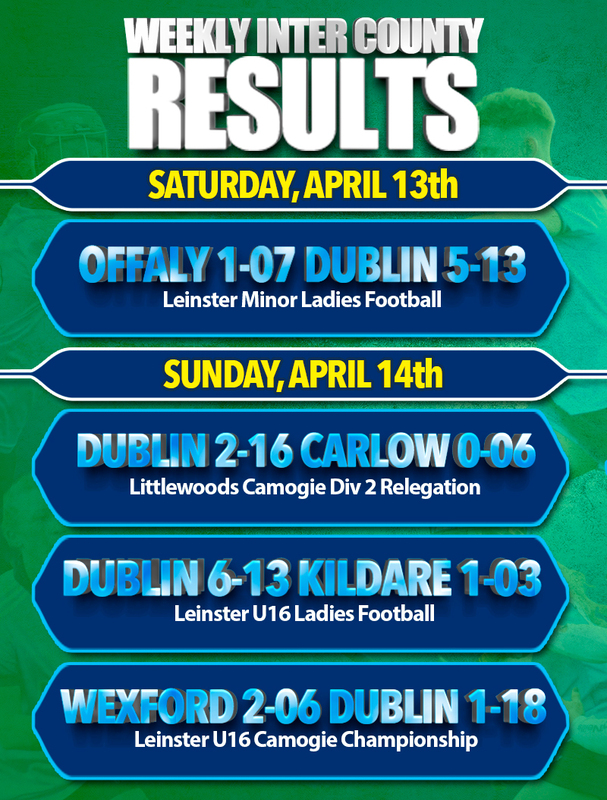 Victory for Dublin in Ferbane yesterday afternoon to end their Leinster Minor Championship campaign. Despite losing though Offaly still advance to the Semi Finals of the Minor B competition. Eimear Griffin (2), Jodi Egan and Katie McNally (2) all registered goals for the Dubs, part of a list of 9 individual scorers. Lisa Davies, Amy Gibbons and Eimear Griffin all put in stellar performances yesterday to end the competition for this year. Offaly struggled to compete throughout the game despite impressive shifts from Niamh Lyndon, Roisin Ennis and Meave Green. Dublin’s Intermediate panel threw off the shackles this afternoon and cleaned house in Banaher to finish comfortable winners over Carlow in the Division 2 relegation play off. It secures Dublin’s league status for another year with Carlow seeing the drop to Division 3. A ninth minute goal from Sinéad Wilde gave Dublin a lead they never relinquished, with Carlow trailing 1-06 to 0-06 at the break. Freetaker Eleanor Treacy was Carlow’s only real source of scores for the game all coming through dead ball chances. After the break it was much the same with Dublin dominating both the possession and scoring. And Wylde struck goal once again in the 58th to literally kill the game. Joining Sinead in the scoring ranks were Niamh Rock (0-05), Aoibhe Dillon (0-03), Laura Walsh (0-03), with Evelyn Twomey and Grainne Power adding one each. 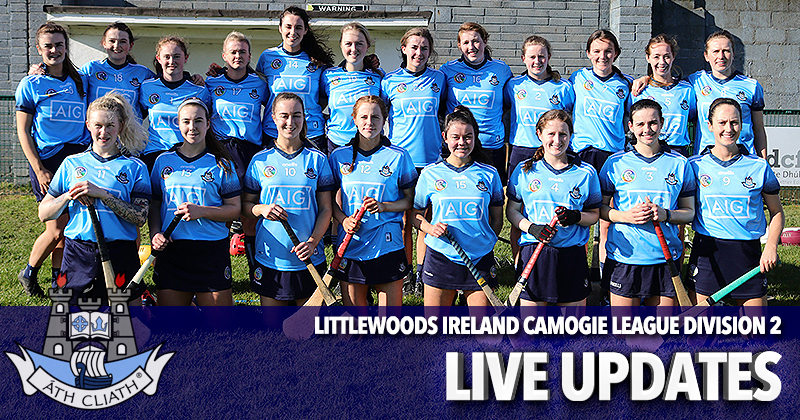 The big performances continued for Dublin’s U16 Camogie Panel this afternoon in Coolgreaney with the finishing their Leinster Championship Group with a win over Wexford 1-18 to 2-06. Dublin had racked up 1-12 at half time, with Wexford only registering 0-01. The home side put in a better second half performance scoring 2-05 to Dublin 0-06, but the Dubs had done enough to keep the game at arms reach of their opponents.